Philip Emeagwali is one of two winners of the 1989 Gordon Bell Prize. The Gordon Bell Prize is awarded by the Association for Computer Machinery in conjunction with the Institute of Electrical and Electronics Engineers. The award is given each year at the Supercomputing Conference to recognize outstanding achievement in high-performance computing applications. Philip won the award for his use of Connection Machine supercomputer to help analyze petroleum fields. He programmed the Connection Machine to compute a world record 3.1 billion calculations per second using 65,536 processors to simulate oil reservoirs. 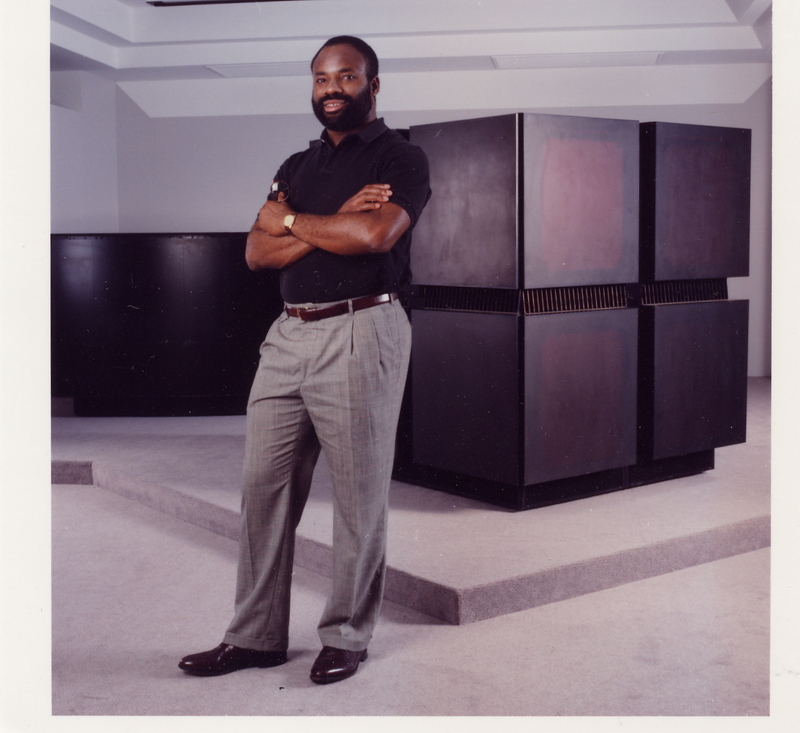 In the caption of this picture on emeagwali’s site it says that he helped give birth to the supercomputer, the technology that spawned the internet. While he may have achived this awesome accomplishment I don’t think we can she he gave birth to the supercomputer. On top of that his site also states that he is “Father of the Internet”. I’m just saying that’s a bit much, but the accomplishment was a great addition to modern computing. Thomas Stewart patented a new type of mop, but that’s not why he is listed as Day 7 Black History in Technology. He is listed because he co-patented an improved station and street indicator in 1883. It was used with railways and street cars to signal what road or street the vehicles were crossing. Their indicator would automatically activate a signal by means of a lever on the side of the track. While this fact might be short, his contribution along with William Edward Johnson, has saved hundreds, if not thousands of lives. Cordell Reed born in 1938 was in charge of nuclear licensing and environmental activities for Commonwealth Edison Company of Chicago. Reed started with the company in 1960, starting as an engineer assigned to the design, construction, and operation of coal-fired generating stations. In 1967 he transferred to their Nuclear division, his task was developing more efficient and productive power plants. The work he did during that time lead him to a promotion in 1975 as he was appointed manager of the nuclear engineering department, where he headed a group of 75 engineers who were responsible for the engineering design of all nuclear projects. During Reeds work Commonwealth became the Nations’ leading nuclear utility; Reed is a native of Chicago, and holds a masters degree in engineering from the University of Illinois. Here is my salute to Mr. Reed for leading the way in the improvements, and literally writing the book on Nuclear Policy. Mark Dean born on March 2, 1957 is credited in two very important areas of the modern computer systems. He was Chief engineer for the team that developed the IBM PC/AT the original home/office computer. Later he helped develop the Industry Standard Architecture (ISA) system bus. This allowed multiple peripheral devices such as modems, and printers to be connected to a PC. Dean owns three of the original nine patents that all PCs are based upon. In early 1999 he and his team at IBM made history successfully testing the first gigahertz (1Ghz) CMOS microprocessor. Overall Dean holds about 20 patents. What you may not know is that Dean graduated from the University of Tennessee in 1979, and Florida Atlantic University in 1982. While he was well accomplished, he decided to go back to school to achieve his PhD in Electrical Engineering graduating in 1992. It says so much about him being that he was already a great contributor to modern computer history, but knowing he didn’t know it all he choose a path to higher learning. James West was a Bell Laboratories employee at Lucent Technologies; he specialized in electro, physical, and architectural acoustics. His research in the early 1960’s help in the development of technology that is used in sound recording and voice communications. That technology is used in 90 % of all microphones built today. 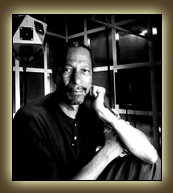 Dr. James West was born in Prince Edward County Virginia, he attended Temple University and interned at Bell Labs during his summer breaks. When he graduated, he joined Bell Labs and begin work in electoacoustics, physical acoustics, and architectural acoustics. His patent #3,118,022 file May 22, 1962 (along with Gerhard Sessler) was approved January 14, 1964 it was for the electro microphone (what we know as the Condenser microphone). West holds 47 US and more than 200 foreign patents on microphones and techniques. West retired from Lucent Technologies in 2001, while I saw a posting that he was with John Hopkins University Department of Electrical and Computer Engineering, but looking through staff records I couldn’t find any current record of him. I believe he must have moved on or retired again. Some of the greatest voices on earth have been helped by this African American Inventor, image if he had never taken the path he did.